"There are some favoured shirts in my wardrobe that escape their hanger more than most. This versatile grid check is definitely one of the lucky ones. 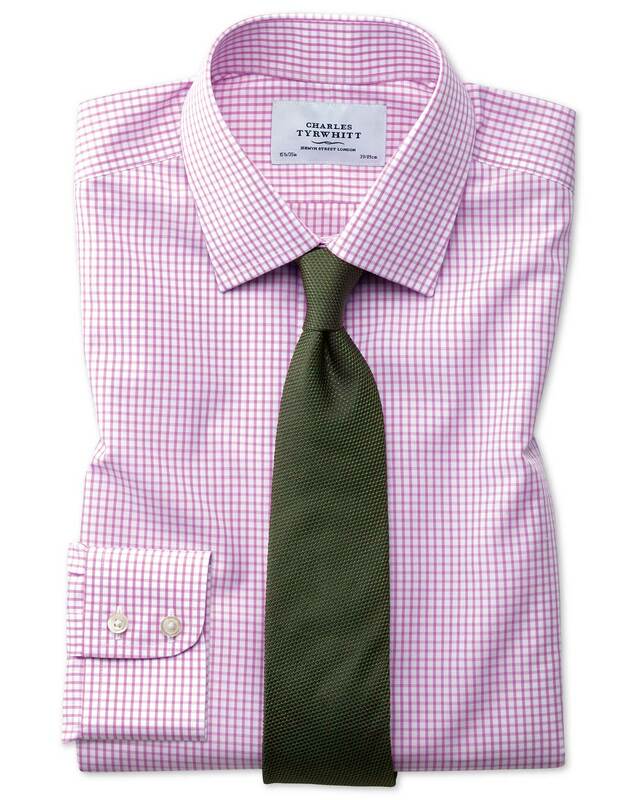 And as it's on our world-famous non-iron poplin, you know you're getting a cotton shirt that's thick, luscious and has long since evolved past the need for irons. Fabulous." excellent why do I have to keep repeating this! It seems the fit is very inconsistent. This purchase one shirt in particular fir a lot bigger than the other where they should of been the same. Others I have purchased from here in the same size, fit and length fit completely different. Response from Charles Tyrwhitt: I'm glad the quality of the shirts purchased here have met with your approval, which is wonderful news. Looking back over your previous orders, I notice you usually order Slim Fit shirts - but have opted for Classic Fit on this occasion. This will mean that they are quite a bit larger/baggier in the body I'm afraid. Please do feel free to return your shirts and request an exchange, which can be completed online for ease and speed. Response from customer: Same as my other comment. I have 6 classic fit shirts and I had the same issue with my slim fit shirts I purchased. I really like the shirts but the inconsistency in how shirts fit need to be looked at. Response from Charles Tyrwhitt: Many thanks for coming back to us with some additional feedback, which I will ensure is passed through to our Quality Control Team. We know full well how important consistency is and will work hard to ensure our shirts are always sized accurately. We'd welcome you to return any shirts to us which are not proving to be a perfect fit in the meantime, so please complete this online at www.ctshirts.com/rebound.